BoxUp XYZ is the newest sketchup plugin that is well matched with SketchUp 2017, SketchUp 2018, SketchUp 2019. It is only compatible with windows platform. BoxUp expands Sketchup Dynamic Components with Dynamic Materials, Costing, Lists and includes 14 new dynamic functions. It will be very effective while working with sheet/profile based modular systems like; Kitchens, Office furniture, Shelving, Wardrobes, Aluminium profile systems and so on. Sheet based materials range from MDF, Plywood, Glass, Acrylics – any sheet based system. Linear based materials like Aluminium profiles, Edgeband, gaskets – any profile based system. Create your own collection of components or make collections for a client. BoxUp Pro comprises of a wide array of collection of dynamic components for kitchen design. It can be applied as reference, as a base to build your own. The plugin includes 14 new functions to Dynamic Component, that allows and streamlines the process for creating more complicated component collections. Go through the following video tutorial for online demonstration of the plugin. Fred Bartels is an educator, builder, artist, maker and a very old member of the SketchUp community. He became inspired by Seymour Papert and many other education visionaries and hope that the future of SketchUp in the classroom of SketchUp. Bartels has introduced SketchUp to his students Seventeen years ago and from that time he continuously trying to create some variations in the classes of SketchUp from its normal class studies and also Bartels hope that other educators will realize this soon and follow the same. In this article we will go through the idea of Bartels in encouraging students for a better study with some new techniques. As Fred has been with SketchUp for a long time, he can describe his creations better way through SketchUp. Fred’s 3D modeling story: Fred Bartels had a great interest in art and architecture and had done some photography courses in high school but could not pursue it in future as a profession. He generally produced art in a summarized way and loved to work with the house designs and often made outlet for his designed ideas. He started to teach in the computer programming classes when the computer and 3D design tools became available in most of the schools and taught about many programs and software. But all were not much good for the students still he found SketchUp at MacWorld 2002 and loved it. From then he has been providing lessons and IT supports to the students of K-12 schools. Special things about SketchUp: According to Fred, SketchUp is a vast and most useful tool even in schools as it has various option that help the students to stay focused more on the designs and knowledge not using the tool only. Besides this, Fred tried to do much more things than only designing in computer graphics, SKetchUp can be used in math, science, history and language classes for better understanding. Students loved the idea and some of them tried to make some innovative work; such as Andrew Nathanson who had made a unique design work and had been invited to the SketchUp Basecamp 2008. There he got a chance to represent his design and also shared the method of using SketchUp in K-12 environment in schools. The relationship between technology and education progress: According to Fred, he and other educators have a wish that computers will provides a rich ranged world for the students where they could both play and experiment over things and can get loads of information. It will be done in a way that would give them abbreviate concept and keep them interested and focused. A great supporter of this idea was MIT’s Seymour Papert; he had thinking that computers can be used in education as in books like Mindstorms: Children, Computers, And Powerful Ideas and The Children’s Machine: Rethinking School In The Age Of The Computer Reprint Edition. SketchUp is just like that and with the 3D Warehouse students could get an available way for sharing their designs and get feedbacks on them. In schools or educational institutions, computer is generally used as an information presentation tool for providing only some information; though it is not enough as there are more things than normal information. 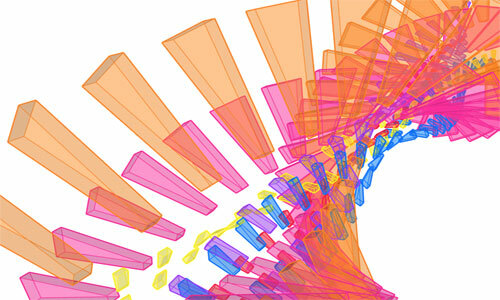 It is good news that there are some new software like Maker Movement, Sketchup etc. that are providing various additional roles in teaching and learning. 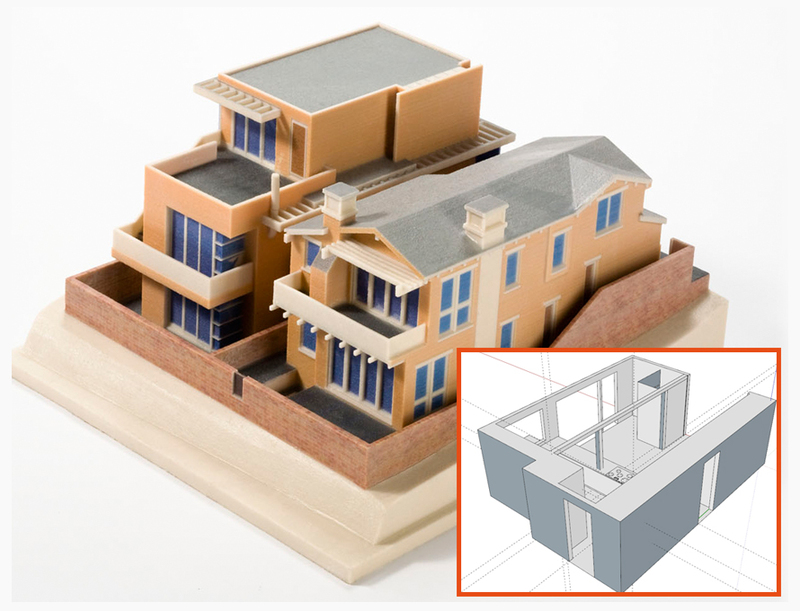 Fred’s new models for students: Fred has a keen interest in art and architecture and has examined many building and design ideas, shared them in 3D Warehouse. After quitting his teaching he took a number of courses at Yestermorrow; which is a design or build school in Vermont and became capable to do some more creative works. He got appreciation for his works that he had shared in 3D Warehouse or SketchUcation that motivated him to do more experiments. Later he worked over 3D printing and made some small sculptures designed in SketchUp and programmable using LEDs controlled with Arduino microcontrollers etc. Besides SketchUp, he also shared his designs in another site named Thingiverse and has some other ideas about making larger designs for future, SketchUp’s role in designs of Fred: After discovering SketchUp, Fred found to work with his ideas and designs in a vast and better platform that also provide him to explore the designs and make creative works on them. SketchUp has now become a part of his work as it is ever growing software that provides new things every time. Other extensions: He used the extension named Artisan for any kind of work and in addition with that Profile Builder, Solid Inspector 2, Align 2 and Export STL. Fred is happy with SketchUp and has been using for the past 15 years and expect to explore more sides of his designing skill and also hope that SktechUp will play more active role in education system and will provide a great supportive, powerful and unique microworld to develop and explore 3D design ideas. Natale Zappia has developed nz_IntelligentStairs, the newest sketchup extension that is available in extension warehouse. 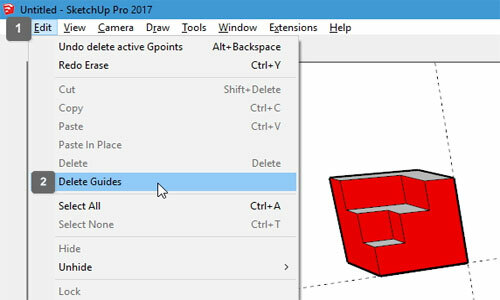 This plugin supports SketchUp 2016, SketchUp 2017 and SketchUp 2018. This plugin is very suitable for architecture, construction and other industries. The plugin can be used to deal with the time consuming and complicated calculations undertaken by the architects because they lay out to combine design intent and code requirements and offer you with the basis for a legal staircase. The plugin offers nz_IntelligentStair with an hint of intent and nz_IntelligentStairs will dynamically define the optimal staircase solution. The solution abides by code restrictions and attains a riser and tread dimension as near as possible your stipulated intentions. nz_InelligentStairs looks after the base calculation and offers you with an adjustable and flexible settlement of components which do not confine your creativity.